I have been smoking with a little chief electric smoker and finishing on the grill or oven. Is that about all I can do with larger cuts of meat with this type of smoker? I just got one for Christmas thinking I could smoke a brisket and eat it....man was I wrong....I don't fish and i don't like jerky very much, so this is a real drag for me...I need a hot smoker. I have a Totem smoker that I use mostly for smoking fish, but I have used it for quite a few other things as well. I thought I was the only one using it to make Chipotle! Interesting that Dan mentioned using it to make liquid smoke, care to share your method? The manual says 3 pans of chips (not chunk) and 8 hours cook time for most applications. Larger cuts get smoked and finished off in the oven or a grill. Cleaning the racks is done with warm soapy water. The flavor/smoker pan never needs cleaning and the drip pan should always be emptied and or kept clean. Spray the racks with cooking spray or rub with oil to make them easier to clean and line the drip pan with tin foil. Measure out spices, and set aside. Cut meat into 1" strips and grind them through a 1/4" plate. Meat should be as cold as possible when grinding. Partially frozen is best if the grinder can handle it. Add spice mix to meat and mix thoroughly. Chill in freezer for 30 minutes. Run the mixture through 3/16" plate. Stuff into hog casings and air dry for 30 min or until dry to the touch. Fresh: Refrigerate or freeze immediately after drying. Smoked: Smoke at 130F for 5 hours. The smoked version must also be cooked before serving but can be refrigerated or frozen as with fresh sausage. It can also be cooked in the smoker to an internal temp of 155F but I prefer to cook it just before serving. yes he Little Chiefs are not designed to "cook" your foods they are designed to Flavor them, if you want a smoker that will "cook" and smoke then you need to be looking at spending upwards of $500 for a smoker. Either propane or gas smokers would be the way to go if you want a "cooking smoker" the Little Chiefs are wonderful IMO i love mine to bits and will continue to use it till it dies! If you want a good cooking smoker for large cuts of meats or whole chickens and turkeys and such I recommend the Bradley smoker. It's a great one as well i use it to "cook smoke" my meats for my hunting trips so I don't have to cook anything when I'm out on the trail so its ready to eat! There's a few other smokers on this site which are great as well as some ""cold smoke"" adapters. Could my Little Chief be used to make smoked sausage (in casings) Does anyone have a recipe for Smoked Jalapeno Sausage? Bill, in the manual you link to, there are no basic instructions on how to use the Little Chief -- i.e. how to clean it, where the chips go, how many pans of chips to use for how long you're smoking, etc. Does anyone know where the BASIC instructions can be found? Last nite the temp. outside was 40 & my Little Chief smoker temp. was over 195. One thing I suggest is wrap a couple old blankets around the cooker...that really helps bring the temp up. The second thing is, when the chips stop smoking & are a white ash(but still a little black), that's when the temp really starts to go up. Wait til it climbs 10 degrees higher than you want, dump out the old chips & add new chips. The temp will then drop 20+ degrees & 15-20 mins. later it will start smoking again & temp will start climbing. I think they work great. I have used one for 25 yrs. I've used a little chief for years. Salmon and chicken are the best but I've done it all. I have three of them. I hook two together with a dryer hose to have a hot box and a cold box for smoking cheese, lox and other cold smoke foods -works great! Use the hot box to burn the wood and the cold box (locate above the hot box) to place the food. I've made pastrami (smoked corn beef,) Chipotle (smoked jalapeno peppers,) liquid smoke, and the usual ribs, steaks, turkey, hamburger, vegetables, nuts...you name it. Wrap the smoked food in plastic and put in the frig overnight to cure then grill it the next day. Get creative, take your time and have some fun using it for what it's designed for. Get a hot smoker if all you want to do is cook in smoke. So disappointed I wish I had never bought the smoker. I was hoping not to have to take the meat out and find another place to cook it while camping. It is hard to carry another grill or oven too. It's not made for that. Your appliance just isn't made for it. Cooking large cuts to proper temperatures would take just about forever, and during the process, your food would likely be in the "danger zone" (between 45 and 140 degrees) for hours, encouraging dangerous levels of bacterial growth. Looking at the manual, the unit is suited to smoke flavoring, drying and curing, but not true smoke cooking. Nonetheless, be of good cheer. I would love to have a unit like that to put next to my pit cooker. I called the manufacturer of the Little Chief smoker and was told that the Little Chief (and Big Chief) smokers are temperature regulated to operate at 165-170 degrees in fair weather. 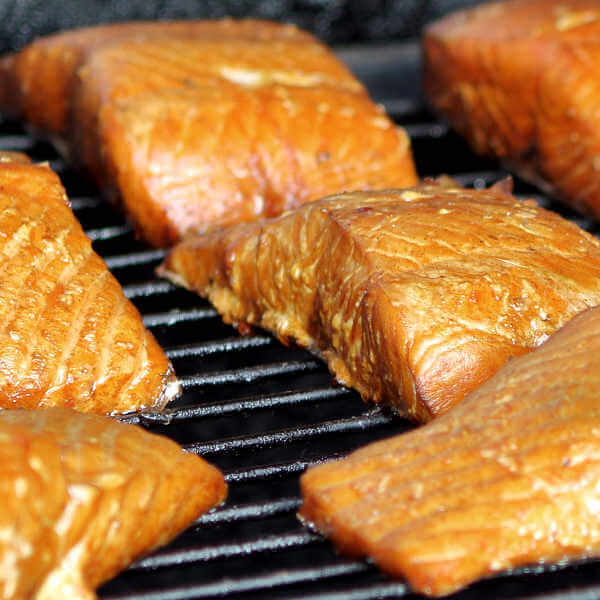 They are capable of completely smoking and finishing seafood and jerky, but because of the low temperature, larger cuts of meat MUST be finished in the oven or on the grill. The Little Chief can be used to smoke-flavor meats like ribs, brisket, chicken, etc., but after a short time in the smoker, need to be cooked as usual. You'll find a link to the Little Chief User Manual on my Grill and Smoker Manuals Page. Why do you finish in the oven or grill? If that's the way you want to do it and your happy with it I guess that's fine. I would let it finish on the smoker. What do you want to be able to do with it? For more information about Little Chief and Big Chief smokers, you'll find operating instructions and recipes at Smokehouse Electric Smoker Recipes and Instructions. The PDF file can be downloaded.